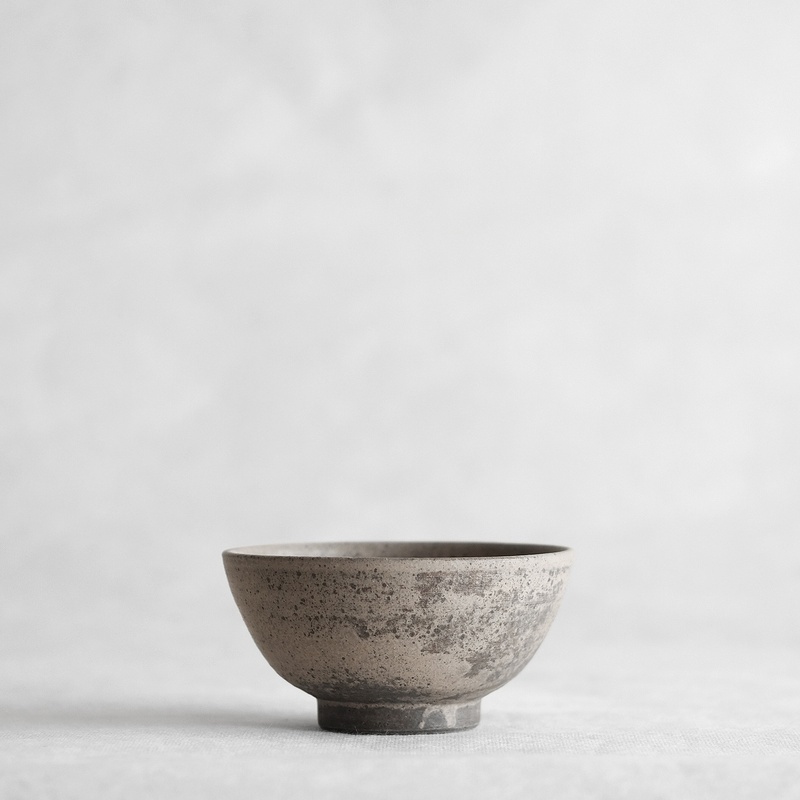 Potter Shinji Hidaka’s un-glazed Tanka rice bowls are finished with a slip combining ash and smoked tile clay that gives each a distinct surface finish. 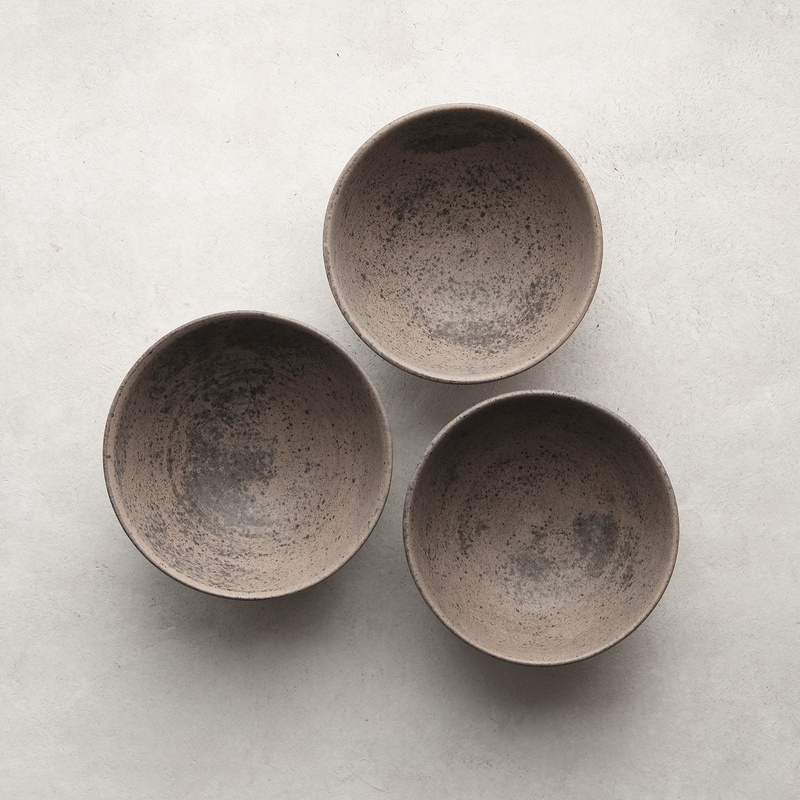 **View all the images to see an example of the variation between bowls. 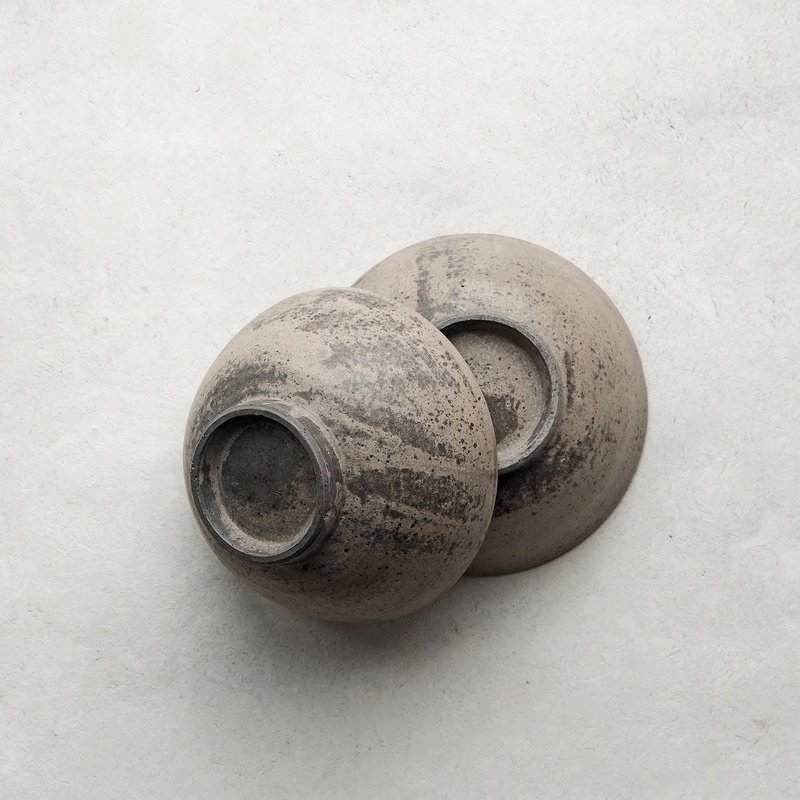 Shinji Hidaka originally studied painting before turning his attention to the production of ceramics and establishing a studio in the city of Mizunami, Gifu. 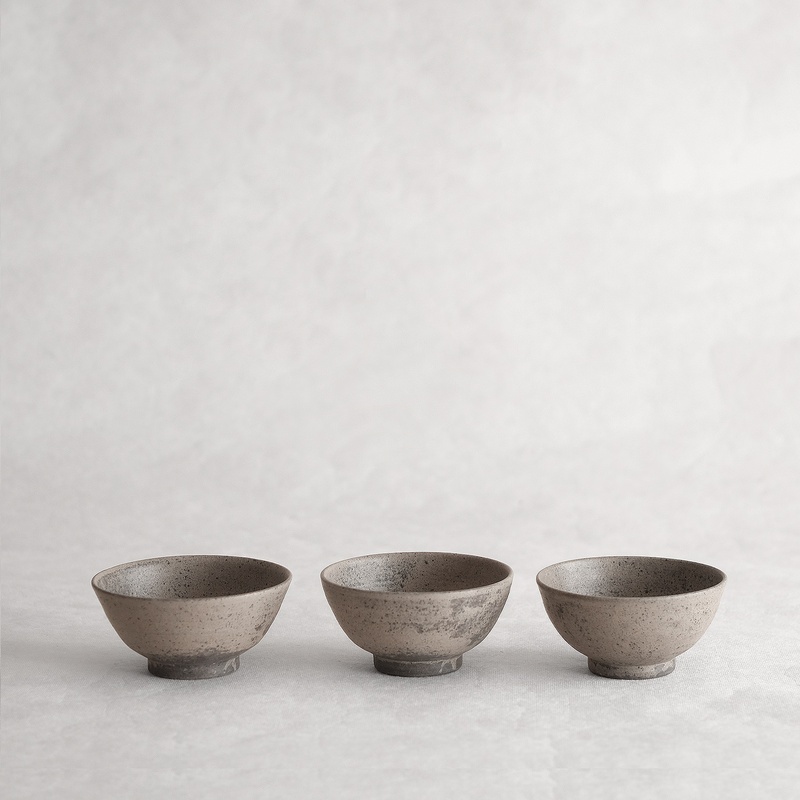 In 2016 Hidaka moved his studio to Okayama prefecture where he currently works producing tableware for exhibition in Japan.